Voila ! 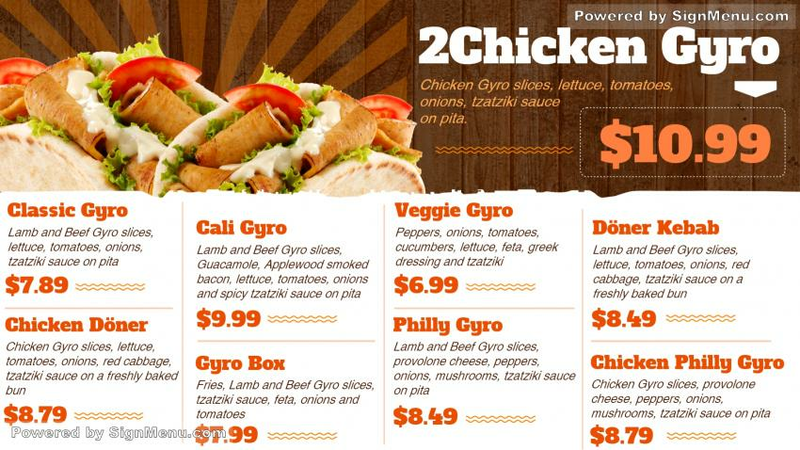 A great Gyro menu board. Vey chic and elegant. The white and brown colors divide the board in a horizontal design beautifully. The graphics in the brown shade as well as the offer is superbly advertised. The menu is lean, with only eight items but exquisitely placed and explained. On a digital screen the impact will make the target audience ecstatic ! The restaurateur can hike up the prices by 15 % based on it’s sheer elegance !